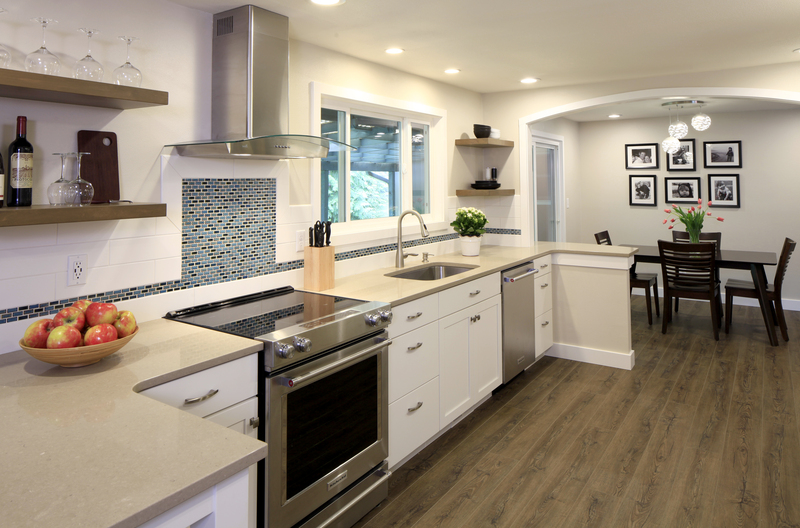 This one-of-a-kind kitchen was a fairly extensive remodel. 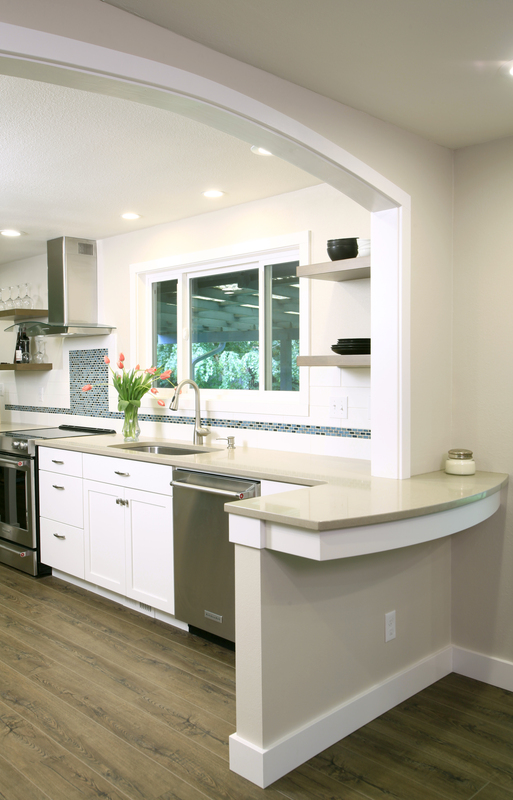 Originally a tiny and cramped kitchen, we worked with the homeowners to design a space that is much larger and more functional. 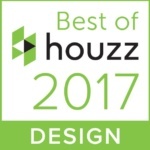 The new design shows off the contemporary style of the homeowners and meets their needs for both day-to-day living and entertaining. 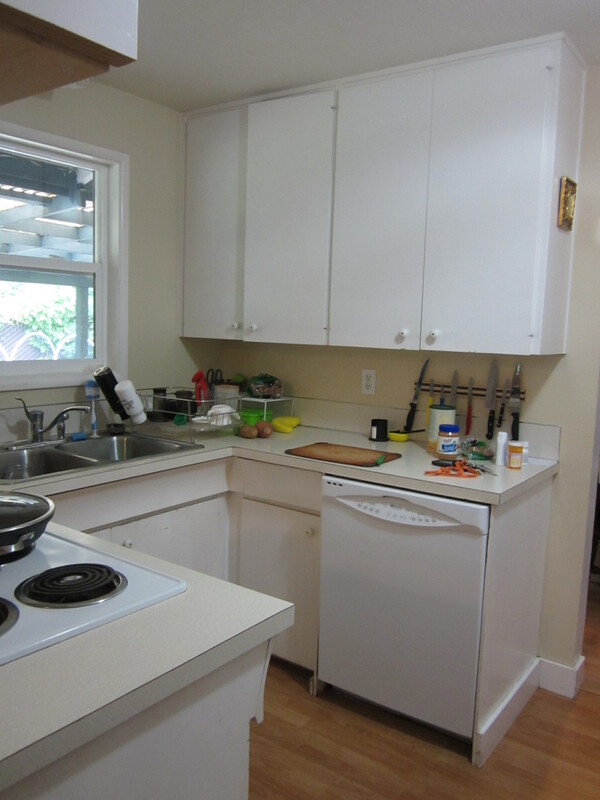 Before the remodel, the kitchen was connected to the dining room by a narrow door opening. This constriction was exacerbated by the presence of the wall oven at that same opening. On the other side of the kitchen, a family room wasn’t visually well connected to the kitchen, and there was wasted floor space between the two rooms. Overall the kitchen felt severely cramped, lacked adequate storage and was poorly connected to the adjacent spaces. 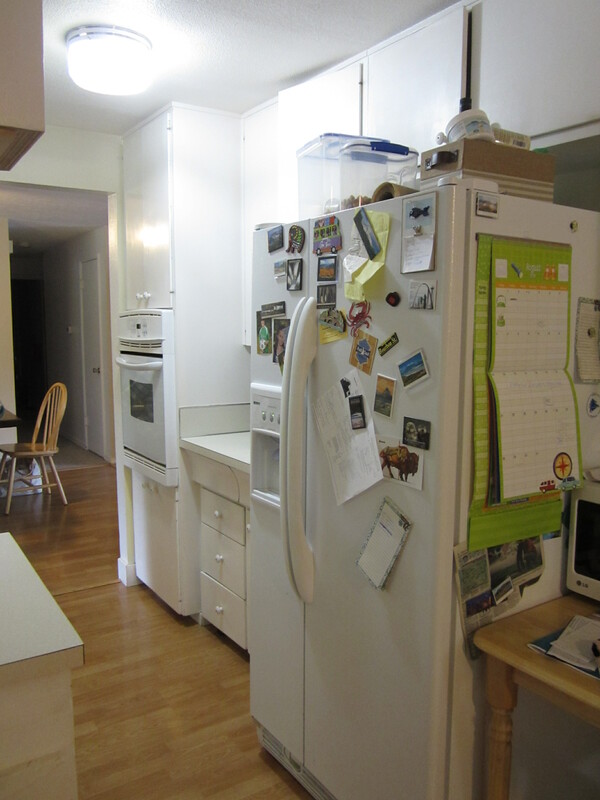 Our new design made the kitchen far more functional for cooking, and better related it to the dining and family rooms. 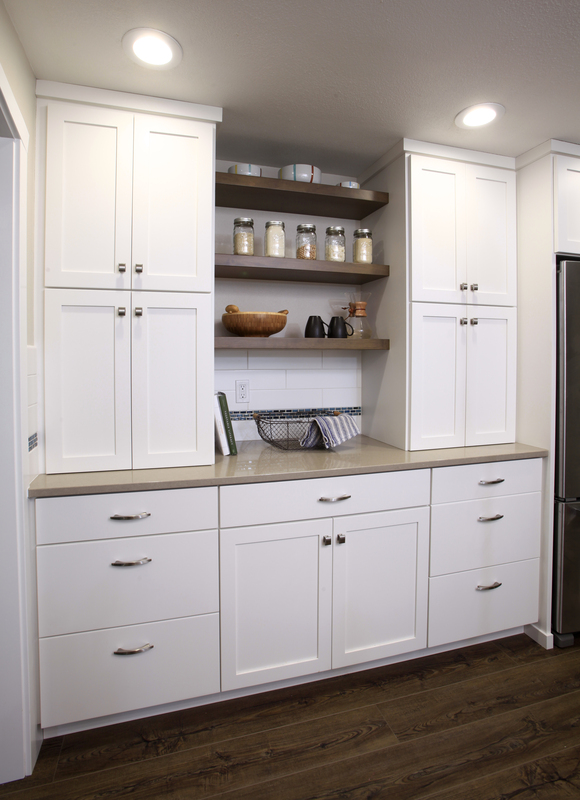 We enlarged the work area by expanding into the formerly wasted space, consolidated cooking and cleanup functions into roomy work areas, and installed all new custom cabinets. Storage functions—including food and miscellaneous storage—are located together for maximum functionality. We greatly expanded the opening into the dining room, which made a big difference, by visually connecting the two rooms and opening up the space dramatically. We graced the opening with an arch and a counter that can be used as a buffet. The sink window was enlarged, and wall cabinets were replaced by cantilevered open shelves—giving the kitchen an airy, contemporary flavor. 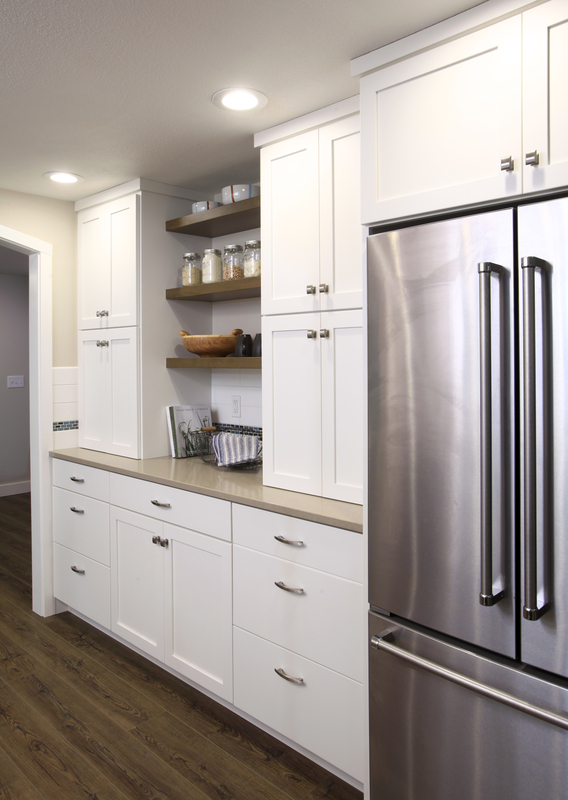 White shaker cabinets lend a fresh feeling as well. 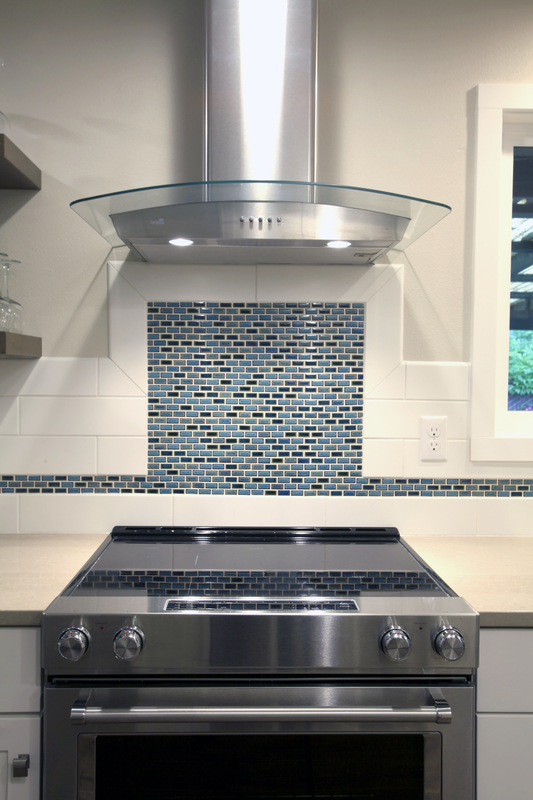 We installed Pental “Sahara” quartz countertops with an undermount stainless steel sink and Moen faucet. The kitchen remodel included all new, energy effificent LED lighting, new Kitchenaid appliances, and a full height tile backsplash. 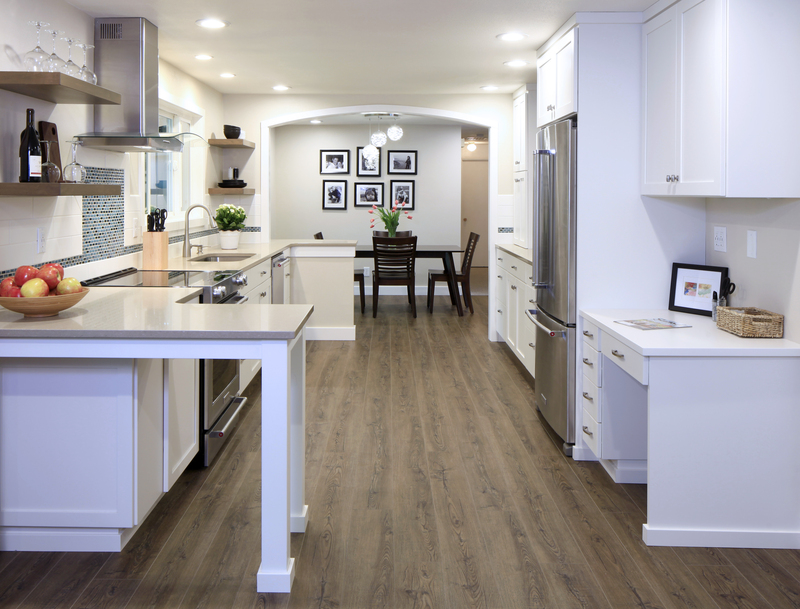 New luxury vinyl flooring (US Floors COREtec HD Delta Rustic Pine) flows from the kitchen into the adjacent spaces, stitching them all together. On the family room side of the kitchen, a work counter allows for sitting and in-kitchen dining. 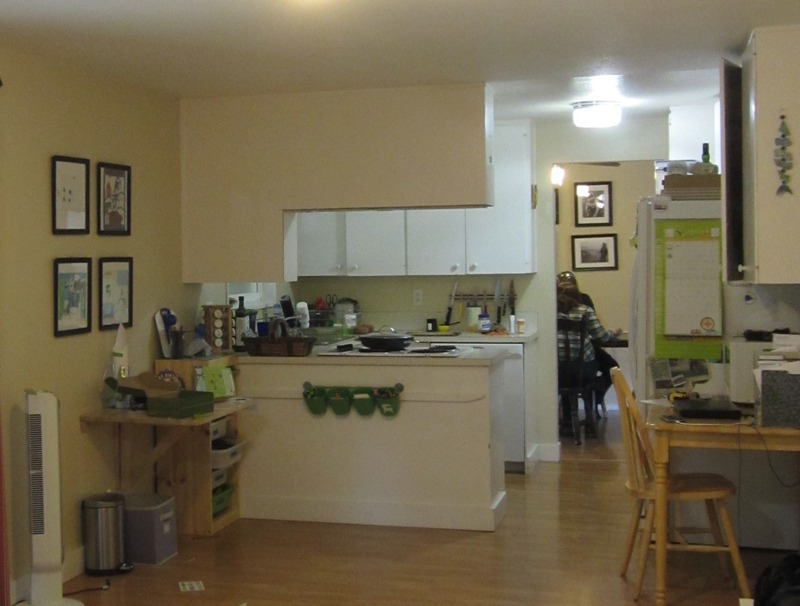 A separate desk area completes the layout of the kitchen space. 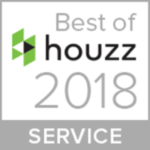 The result is a central hub of the home that functions very well for cooking needs, but also pulls adjacent rooms together to form a cohesive whole. 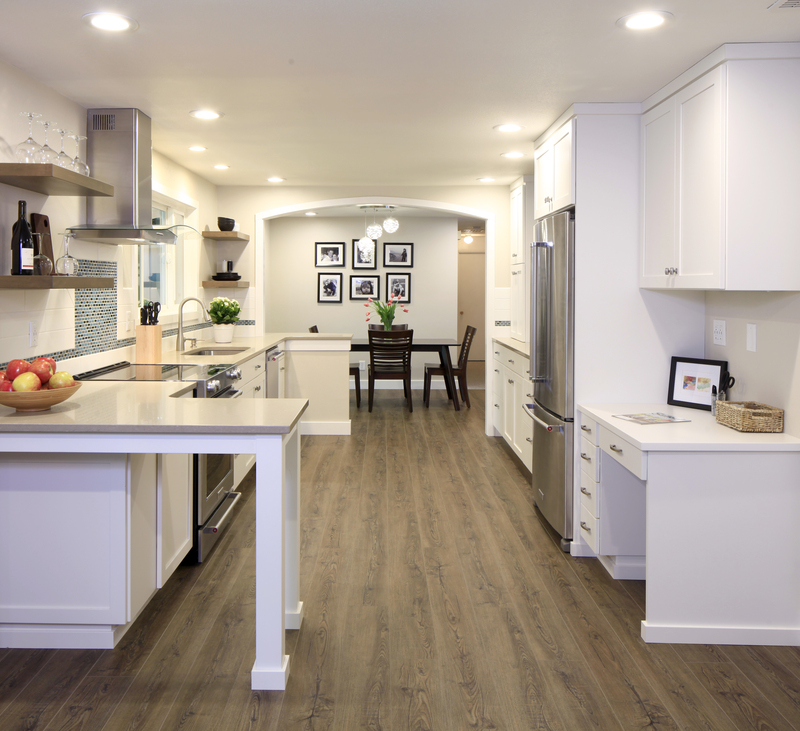 Plenty of storage, fresh low maintenance finishes and bright lighting make the remodel a welcome update to this family’s home!